The Environment and Natural Resources Directorate brings together roles concerned with the management, conservation and regulation of the natural and man-made environment, allowing for a properly co-ordinated and joined-up approach. This includes lands, buildings, transport infrastructure, agriculture and the environment. SHG divested (from 1 April 2013) the provision of utilities (water, electricity and drainage) to an SHG-owned private company, Connect Saint Helena Ltd. The Environment and Natural Resources Directorate, pulls together a number of smaller directorates: Agriculture and Natural Resources, Environmental Management, and some components of the former Infrastructure and Utilities. Initially, on an interim basis, the Directorate will be comprised of 4 divisions: Agriculture and Natural Resources Division (ANRD) led by Darren Duncan, Property Division (PD) acting in the position John Clement, Transport and Infrastructure Division (TID) acting in this position Nicky George and the Environmental Management Division (EMD) led by Ben Samson. The overall aim is to support the development of St Helena by strengthening the Island’s infrastructure, and environment. The Directorate’s responsibilities also include the network of public roads and bridges, and the provision and maintenance of the Crown Estate buildings and land. It also provides technical advice on construction projects across SHG. 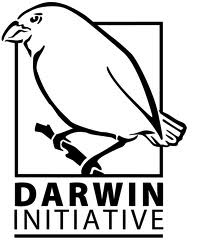 The Environment and Natural Resources Directorate has been fortunate enough to benefit from funding from the Darwin Initiative, which funds biodiversity projects in countries with poor financial resources. Further information about the Darwin Initiative can be found here: http://www.darwininitiative.org.uk/ and details of all projects on St Helena can be found on the ‘Projects’ page. St Helena Government have led or been involved in the projects that are listed below, with links to further information where available.